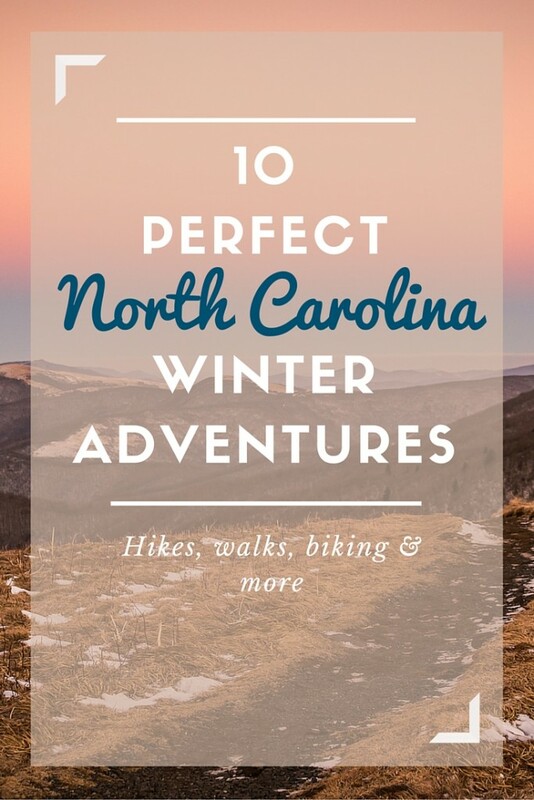 North Carolina is rich with adventure opportunities, even in the dead of winter. Dozens of parks and some of the best views Mother Nature has to offer means that braving a little chill is certainly worth it. Here are ten winter adventures in the Piedmont and the mountains that are particularly enjoyable in the winter season. Mountain biking, climbing, paddling, canopy tours, etc. While the Center’s namesake attraction is closed for the season, the rest of this adventure park is up and running (save for the hiking and mountain biking trails, which close temporarily in wet conditions). Visitors, especially kids, will love the variety at this 700-acre adventure playground, from the 46-foot climbing wall to the nine ropes courses to the zip line, the standup paddleboards, the war canoes … . Just about everything your adventurous mind can imagine, you can do at the NWC. Hanging Rock is one of the few places where you can achieve a 360-degree view with a minimal amount of effort. The trail to the top of the park’s namesake peak is just 1.3 miles long — and it starts on pavement. It does get a little sketchy toward the top; some minor scrambling is required, so this may not be the best option for visitors with mobility issues. 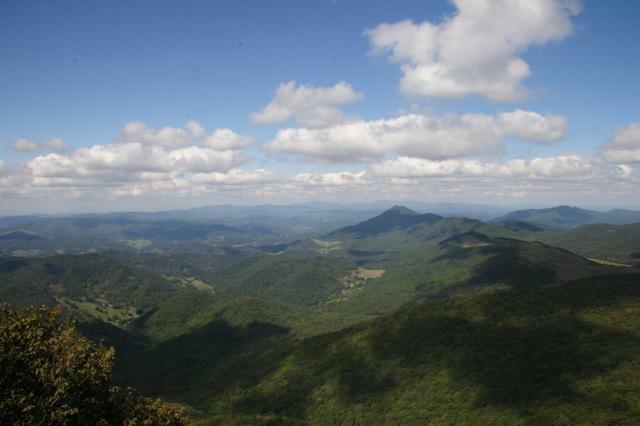 But once on top the views are grand: the Blue Ridge mountains to the west, Virginia’s George Washington National Forest to the north, the rolling Piedmont to the east, and, as the saying goes, on a clear day you can see Winston-Salem, to the south. This 14,100-acre park at the foot of the Blue Ridge escarpment is like visiting in the mountains minus the long drive. The adventurous can take the 4.5-mile Stone Mountain Loop Trail, taking in open meadow, a waterfall and the summit; history buffs can visit the Hutchinson Homestead, a restored farm; fisherfolks can check out the catch-and-release trout streams. “Hiking” and “nature”? Don’t the two go hand-in-hand? They do, but nature gets an extra nod at Weymouth Woods, which honors the mighty longleaf pine, the state tree. Once the dominant pine throughout the South, the longleaf was fast harvested by timber-hungry Europeans. Today, while the tree is making a comeback, Weymouth-Woods is one of the best remaining examples of an old-growth longleaf pine forest, with some denizens dating back hundreds of years. Four miles of easy trails offer easy access. Folks like to boast about the cool things they did over the holidays — like exploring a wilderness area! 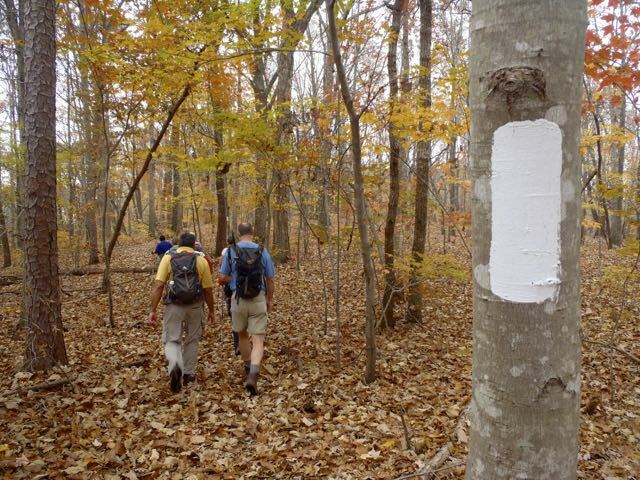 In 1984, this 4,800-acre northern tip of the Uwharrie National Forest received protection under the 1964 Wilderness Act, insuring that the mark of man (and woman) would be minimal. In the Birkheads, that translates to a quiet ramble through a maturing hardwood forest minus the threat of getting lost (the trails are easy to follow, some are marked). For a quick taste of the Birkheads, enter at the Robbins Branch Trailhead, for the full 11.4-mile tour, take the Tot Hill Trailhead. You can get more info by reading “Uwharrie Lakes Region Trail Guide,” by Don Childrey (Earthbound Sports, Second Edition 2014). Check donchildrey.com for additional information. How cool for your visiting kin to return home and say they summited the highest peak in the East — east of South Dakota’s Black Hills, even! — over the holidays! This year, that could be a possibility. The unseasonably warm weather means the Blue Ridge Parkway, which provides access to Mount Mitchell State Park, has remained open from NC 80 to the top (the Parkway closes in winter from Asheville). Getting to the trailhead is 90 percent of the effort: the paved trail to Mitchell’s 6,684-foot summit is less than a half mile long. 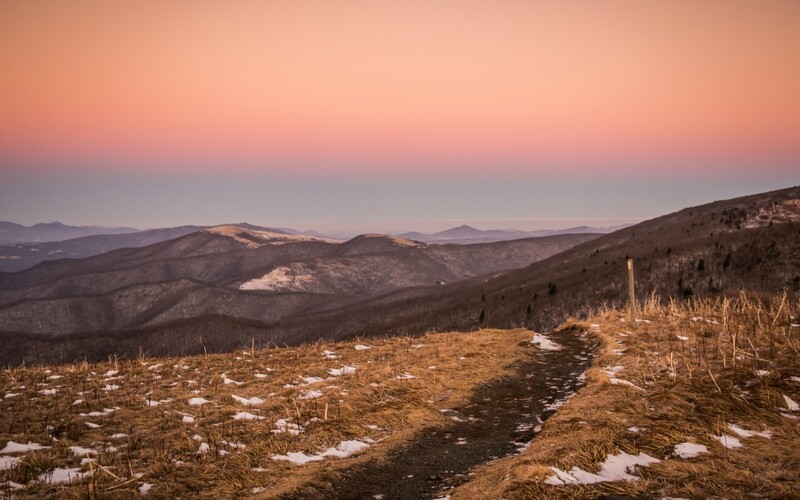 The great thing about Elk Knob isn’t so much that you top out over a mile in altitude (5,520 feet), or that from the summit you have panoramic views, or that the hike to the summit, while breath-taking (figuratively and literally), is only 2 miles. While that’s all pretty great, what’s especially cool about hiking Elk Knob is that, above 4,000 feet, this isn’t like hiking your typical Southern Appalachian hardwood forest. That’s because this is a northern hardwood forest, with sugar maple, yellow birch, American beech and yellow buckeye — trees you don’t find in abundance elsewhere in the state. OK, the current weather doesn’t suggest a ski trip (water skiing, perhaps). But the weather has begun turning more seasonable in North Carolina’s high country, which means that snowmaking has resumed: there’s even a chance of the real McCoy on Friday. All the region’s ski areas need is cooperative weather and they can lay down a mountain of snow in no time, by the weekend even. More info: Keep tabs on regional ski conditions at SkiSoutheast.com. Grandfather Mountain is probably best reserved for your more adventurous visitors. The massif reaches nearly 6,000 feet into the sky, has defied aging by retaining its rocky exterior, and has seen some of the most extreme weather in the South (since an official National Weather Service meter was installed, the wind has peaked at 120.7 miles per hour, qualifying for Category 3 hurricane status). Not all of the park’s 12 miles of trail demands hiking expertise; the first two miles or so of the Profile Trail is a most enjoyable hike through a mature hardwood forest. What better way to start the new year than by expanding your — and your visitors’ — winter adventures envelope. Western North Carolina has hundreds of miles of some of the best mountain bike trail in the country. True, some is challenging even for more experienced mountain bikers. But with a little guidance, you can find terrain targeted to any level. Thus, we suggest hooking up with the bike farm in Pisgah Forest adjacent to Brevard. Not only can they tell you where to go, they’ll take you there, ride with you, even supply the bike.